There are around 700 barristers practising in Northern Ireland. Barristers provide specialist legal advice, advocacy and represent their clients in courts and tribunals. 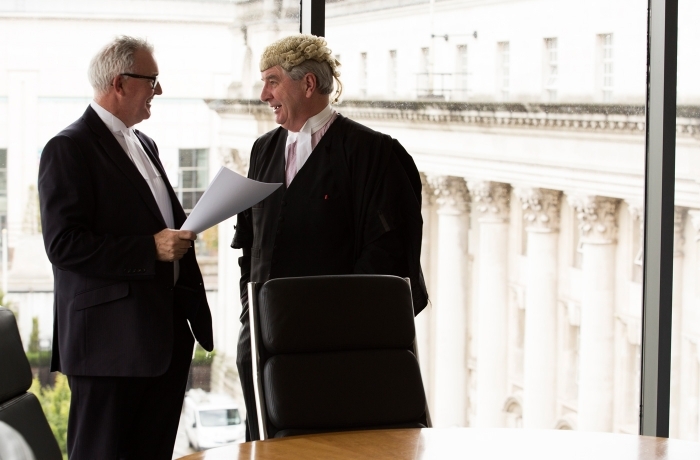 Solicitors or other professional clients will refer work to a barrister but with some exceptions, it is possible for a member of the public to go directly to a barrister, for example, for mediation services. What is the Bar Library? 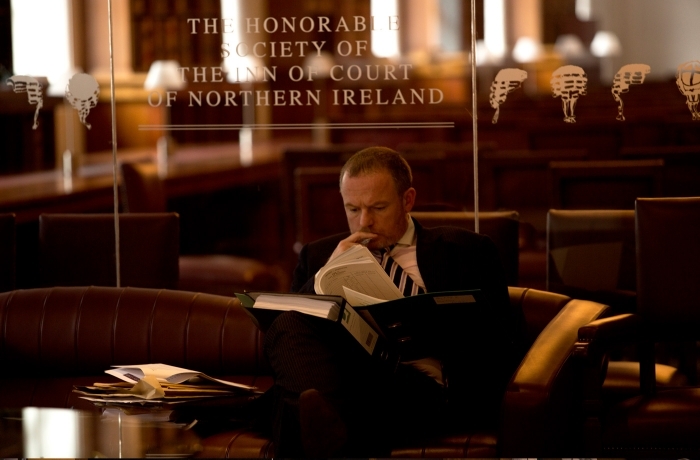 Most barristers who practise in Northern Ireland are members of the Bar Library. Access to training, experience, continual professional development, modern research technology and state of the art facilities within the Bar Library enhance the expertise of individual barristers and ensure the highest quality of service to clients. Located adjacent to the Royal Courts of Justice, the Bar Library provides office accommodation, information technology, reception, postroom, meeting facilities, research and information services, exclusively to subscribing members. I am meeting my barrister at the Bar Library this week. Where do I go? Most commonly, you will visit the Bar Library with your solicitor to meet with your barrister to talk about your case. The Bar Library is located beside the Royal Courts of Justice in Belfast at 91 Chichester Street, Belfast BT1 3JQ. Visitors should attend reception in the Bar Library to register your arrival and receive your security pass. Reception staff will be able to assist with any enquiry and contact the barrister or individual you are meeting. A limited number of senior barristers are made Queen’s Counsel as a mark of outstanding ability. I need to speak with a barrister about my case. How can I contact them? In the first instance, you should contact your solicitor and speak with them. Your solicitor will then contact the appropriate barrister to provide advice on your circumstances. You may then be asked to meet with the barrister to talk through your case in more detail. I am unhappy with the service or conduct provided by my Barrister. How can I make a complaint? If you are concerned that a barrister has fallen below the professional standards expected, you may complain by submitting a completed Complaints Form. We will acknowledge your complaint and will provide a detailed response following the investigation.